Our skin is the largest organ we have. 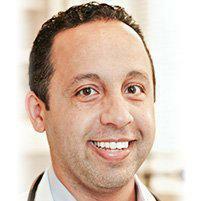 Dr. Eidgah offers dermatology consultations through his practice in the East Village for the people of New York City. Skin conditions are very common, such as acne. Dr. Eidgah recommends examinations of all skin conditions as early detection offers the best treatment outcomes. Dr. Eidgah sees patients from around the surrounding area including Union Square and Downtown New York. Does Dr. Eidgah Screen for Skin Cancer? Skin cancer is something of which we should all be aware. One of the most proactive things to do is to have Dr. Eidgah look at any moles that you might have. Mole mapping is helpful even when you are a young adult because it becomes valuable later in life. Dr. Eidgah does screen for skin cancer and other skin problems. Why Types of Dermatology Consultations Does Dr. Eidgah Do? As mentioned, he screens for skin cancers. He also looks at a wide variety of skin problems and refers his patients to top dermatologists as needed. Acne is a common complaint and one that can be addressed in a variety of ways. Sometimes the fix is a change in diet. Sometimes it requires medication. In women, acne can sometimes be a sign of hormonal imbalance. As a family practice doctor, Dr. Eidgah has firsthand experience evaluating and diagnosing many skin conditions. Modern healthcare is a team approach to care and treatment. As such, Dr. Eidgah is highly qualified to screen dermatology concerns. In fact, he is a strong ally to have for his experience. What Happens If I Need to See a Dermatologist? Dr. Eidgah is well connected professionally. He knows many of the top dermatologists in New York City. If you need to see a specialist he will make the referral to a doctor who has the experience to further diagnose and treat your condition. What is good about specialists is that they work with Dr. Eidgah to treat your dermatology condition, and he remains your primary care doctor. So you get the best of both worlds. Are There Extra Fees for Dermatology Screenings? Sometimes the co-pay is higher, but that is more of a factor that is about what kind of insurance plan you have. Usually, fees are the same unless you see a specialist. If so, the co-pay for a specialist is usually higher but manageable.